The Pietro Annigoni Museum is located at the beautiful Villa Bardini, surely one of the most stunning spots in Florence thanks to the near Bardini Garden too. Pietro Annigoni was one of the most important painters of the Italian 1900 , best known for his portraits and for his frescoes: some of them are present in major sites of Florence, such as the Church of San Lorenzo, the San Marco Convent, the Palazzo della Misericordia. Pietro Annigoni Museum offers high level temporary art exhibitions and has a permanent collection of works by Annigoni worth visiting. 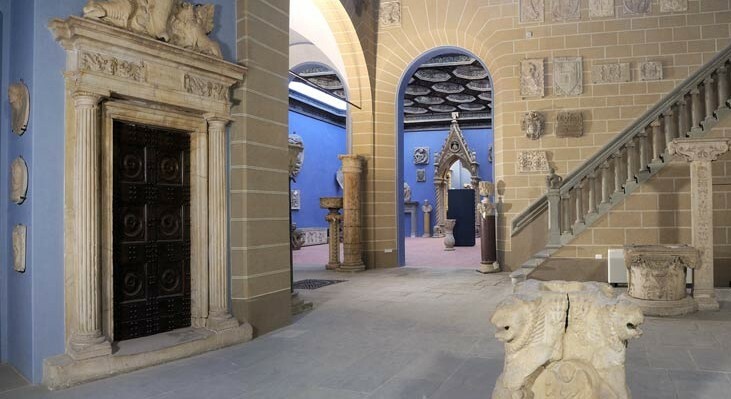 Remaining in this place you can then visit the close Bardini Museum, originally an ancient complex of buildings which consists of a convent and a former 1200 church; it was bought in 1880 and completely transformed in its interior by Stefano Bardini, artist, restorer and famous Florentine antiquarian. Among the rooms and the beautiful artworks kept in the Bardini Museum we remember the famous statue of Carità by Tino di Camaino, the statue of the Porcellino by Tacca, the Diavolino of Giambologna and the incredible Room of Madonnas, with the stunning Madonna of the Apple attributed to Donatello. Everyone can then walk in the beautiful Bardini Garden, historic Florentine garden in the Oltrarno district, which extends over a large hilly area from Piazzale Michelangelo down to the Arno river.